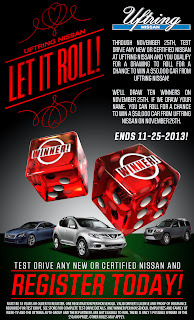 Uftring Auto Blog: Let It Roll at Uftring Nissan! Let It Roll! Uftring Nissan is giving away a $50,000 car! A $50,000 CAR! Not only that, but we are also giving away $1,000 in free gas! Now through November 25, test drive any new or certified Nissan at Uftring Nissan and you automatically qualify for a drawing to roll for a chance to win a $50,000 car. 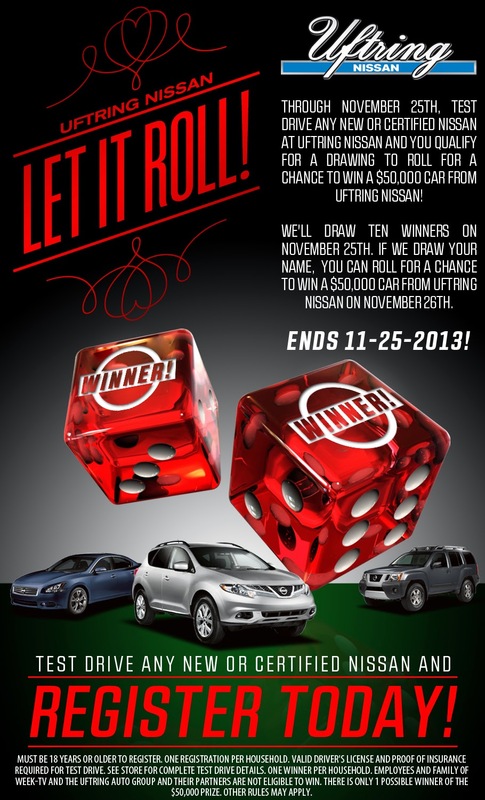 We will draw ten winners on November 25, 2013, and if we draw your name, you can roll dice for a chance to win a $50,000 car from Uftring Nissan on November 26, 2013. From the 2014 Nissan Rogue to the all-new Nissan Altima, we’ve got what you need, and all you have to do is stop by our store to test drive one of our vehicles for your chance to win a $50,000 car! We also have $1,000 in free gas to give away! What’s the catch? There isn’t one! 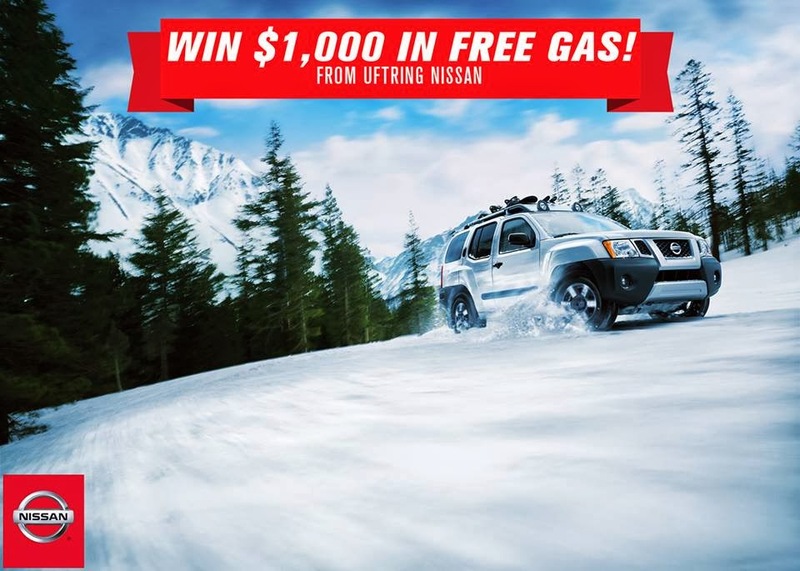 To be eligible to win $1,000 in free gas, visit Uftring Nissan’s Service Department for 1 or more of the following services for your chance to win. See store for complete promotional details for both giveaways.